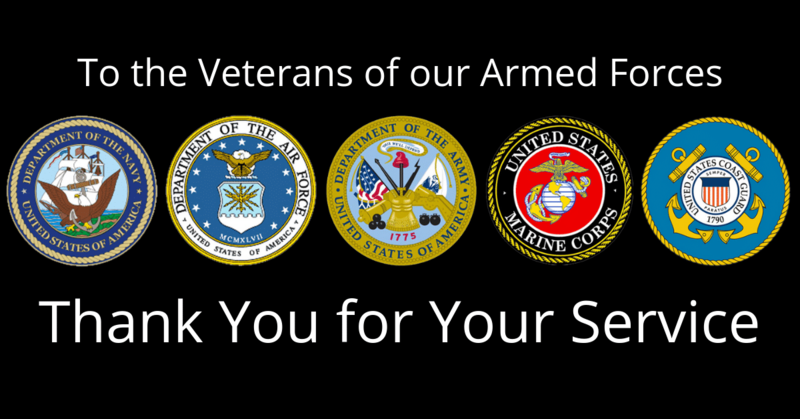 Veterans Day is about honoring the sacrifice of all the men and women who proudly served in our armed forces. It’s a day for remembering that freedom isn’t free, and there are men and women who worked and fought to protect those freedoms and our beloved country. It’s a day to honor a tradition of service that ensures all Americans enjoy the right to life, liberty and the pursuit of happiness. On this Veterans Day, Homes for Heroes would like to extend our deepest thanks to every veteran member of the Army, Navy, Air Force, Marine Corps, and Coast Guard, National Guard and Reserves. We are grateful for your sacrifices and the sacrifices of your family members during your time served. Thank you for serving our country. It’s appreciated more than you know. Veterans Day is observed annually on November 11 as an adaptation of Armistice Day, the day WWI ended. In fact, Veterans Day 2018 marks 100 years since the end of the Great War. The holiday was changed from Armistice Day to Veterans Day in 1954 to honor all veterans, not just those who served in WWI. Veterans Day is marked by events across the country, including by your local VA, VFW, the American Legion, or other veterans group for information about events in your area. Since 2009, Homes for Heroes has helped over 9,200 U.S. active military members, veterans, and their families buy or sell a home. Collectively, they saved over $14.5 million. We are honored to assist veterans in achieving their homeownership goals and saving them significant money in the process. At Homes for Heroes, Veterans Day is a big deal. Our veterans sacrificed a lot to serve our country, and we dedicate ourselves to honoring and supporting those who have served our country so valiantly. To all veterans, we are eternally grateful for your service and we promise to do whatever we can to help you achieve your goals. Are you a veteran, active duty or reserve member looking to buy, sell or refinance a home? Sign up to see how we can help you save money as a thank you for your service.